Any app user’s experience can be enhanced with the addition of videos. But, adding videos to your application can be difficult, with problems like video and audio quality hampering the success of most. 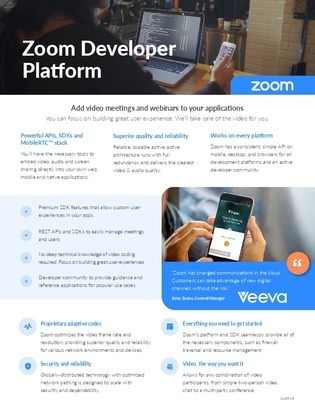 Take a look at this infographic to learn how to seamlessly add video meetings and webinars to your applications, able to work across mobile, desktop, and any browser.